Here is a replay of my YouTube Live event with Donald Kelly, Toastmasters District 47 pubic speaking champion, sponsored by PwC Digital. This plugin will post a notification to a Glip team conversation whenever a new blog article is posted or a comment is posted to a blog that you maintain. The plugin uses the WebHooks interface to connect with Glip, the team collaboration and productivity platform from RingCentral. I do editorial consulting for Glip, so this came about because I was trying to cook up an example of using their support for WebHooks (a standard web services API). Commented code included below. Anyone who runs a WordPress website with multiple contributors and people posting comments. 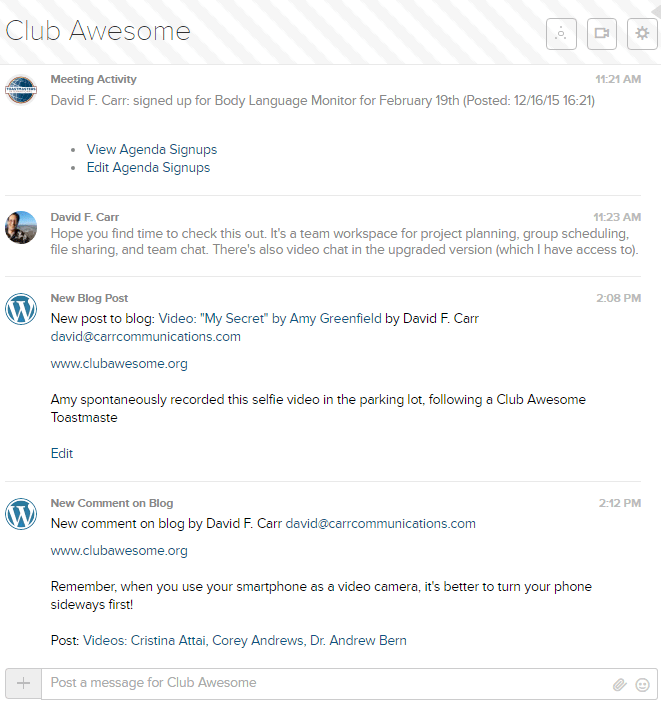 WordPress new blog post and comment activity, as recorded in the stream of comments in a Glip team conversation. The WordPress admin must set the WebHooks url for Glip on the Settings -> Glip screen. 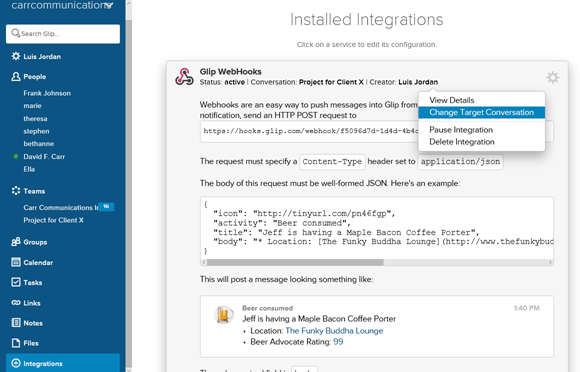 Here is where you obtain that information from within Glip, after activating the WebHooks integration. The plugin uses WordPress action hooks to detect new posts and comments and relay them to Glip in the JSON format specified above. Description: Post a notification to a Glip team conversation whenever a new blog article is posted or a comment is posted to a blog that you maintain. The plugin uses the WebHooks interface to connect with Glip, the team collaboration and productivity platform from RingCentral. 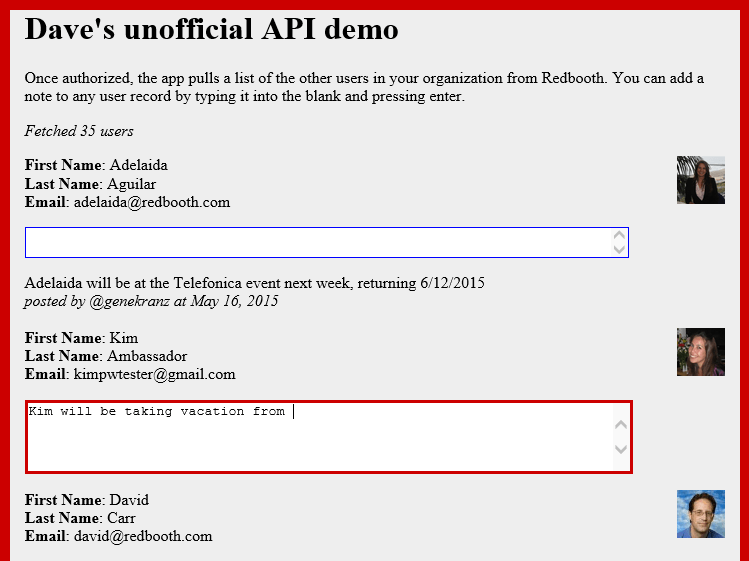 // Sanitize and validate input.